Buy-to-Let mortgages have become increasingly popular in recent years and are now a well established part of the system. Radical changes in the mortgage market recently have had a big impact on the buy to let arena and some would-be landlords have been deterred from investing in rental property. Mortgage lenders have reduced their maximum loan-to-value limits and the minimum deposit required for a buy-to-let mortgage is currently 25%. There are still opportunities to be found and the reduction in property prices has pricked the ears of property investors hoping to snap up a bargain. Expert advice from experienced advisers can make the difference between an investment nightmare and a successful property portfolio. Some property investors believe the next buy-to-let boom is just around the corner, other opinions suggest property prices still have a long way to fall. If in doubt, ask an expert. Creditmarket.co.uk does not provide financial advice just access to qualified, regulated advisers across the UK. 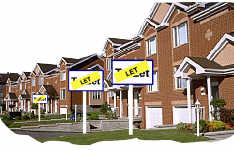 There are a lot of factors to consider when looking at buy to let mortgages – factors such as how tax relief can be employed, and the various obligations which go along with being a landlord such as landlords insurance. There are fees associated with the purchase of any property and often buy to let mortgages attract much higher fees than normal residential mortgages. The anticipated rental income must more than exceed the monthly mortgage payment and it is often a good idea for a prospective landlord to obtain an independnet valuation & potential rental assessment on a property to avoid dissapointment with the mortgage. If the rental income does not support the mortgage according to a mortgage lenders criteria then the mortgage will be declined.